Classic battles: Ali vs. Frazier. Yankees vs. Red Sox. 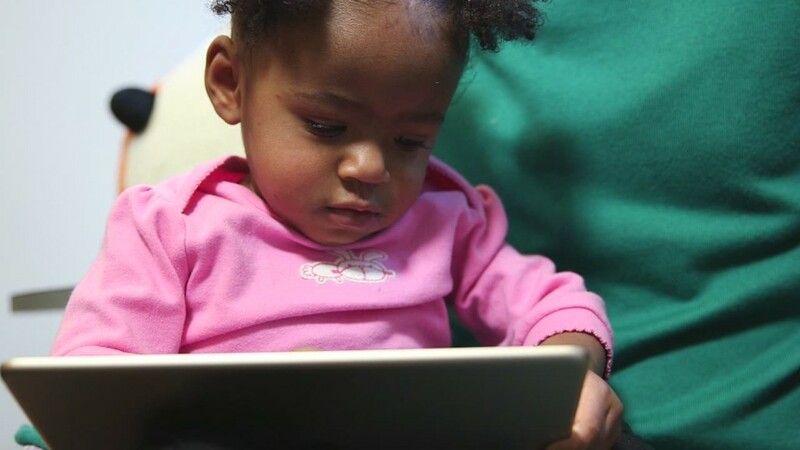 Toddler vs. iPad? CNNMoney gave two nursery school classmates a brand new iPad Air 2 and let them loose in our studios for a (very) non-scientific stress test. We mistakenly thought that when the toddlers grew tired, we'd see how well the tablet withstood a full-blown tantrum. Many parents use Apple (AAPL) iPads for educational games and general preschooler entertainment, so this seemed like a potential real-world scenario. Turns out, getting them to drop the tablet a mere two or three feet required undoing years of parenting: They knew it was wrong. Even when being encouraged to mimic the actions of elders dropping the iPad, they stopped short of actually letting it fall. Eventually, after a fair bit of encouragement from our production crew, they started to explore the limits of the device. How might Siri react if held down for minutes at a time? How does the LCD display do under the sole of a Spiderman Stride Rite? And most perilously, how does the anodized aluminum case do when dropped many, many times? Standing on the anchor desk on CNN's newsroom set, testers Sofia and Tzuri tossed the iPad roughly six feet on to a wood floor. They repeated this exercise fourteen times, at least six of them resulting in a glass-first fall. The screen remained pristine -- not even a scratch. Upping the ante, we brought them on the staircase in our main newsroom. They nudged the iPad Air over the railing or threw it off the edge nine different times. Apart from a small dent on one its beveled edges, the device remained unscathed.